Hey everyone this is Torrey AndersonSchoepe with the #TheRewind on AOL.com, where we give you a quick rundown of the top news and buzzy stories from the week. 1. Details are emerging about the couple who opened fire on an office holiday party armed with rifles and explosives, killing 14 people and injuring 23 others. The 27-year-old woman, Tashfeen Malik, had pledged allegiance to an ISIS leader and the FBI said the crime is being investigated as an act of terror. 2. Chicago mayor Rahm Emanuel fired the city's police chief after a white officer was charged with murder for shooting a black teen 16 times. 3. Two bacteria outbreaks linked to contaminated food products spread throughout several states this week. First, Costco recalled celery and celery products that were tainted with E. coli. Later in the week the CDC announced that a line of nut butter had sickened 11 people in 9 states. 4. NATO foreign ministers invited the small country of Montenegro to join their military alliance even after Russia warned it would be very unhappy if they did so. 5. World leaders gathered for a summit on climate change in Paris, where Obama and Putin met to discuss the growing crises in Ukraine and Syria. 6. ISIS released a video that purportedly showed the beheading of a man that they claimed was a Russian spy. 7. The wife of the man accused of killing three people and wounding nine others in a shooting rampage at a Planned Parenthood clinic in Colorado Springs said that he had targeted the agency before. 8. An Alaskan mayor died suddenly, just weeks after taking office. An autopsy revealed that the 70-year-old died of natural causes. 9. A freight train of storms is expected to hit the northwest this weekend and into next week, dumping feet of rain and snow on the region. 10. Good news for Mark Zuckerberg and his wife, the couple welcomed a new baby girl into the world this week and pledged to donate 99 percent of their Facebook shares to charity, which adds up to a whopping $45 billion. A heartbreaking Christmas ad created by a German grocery store chain has taken the Internet by storm. 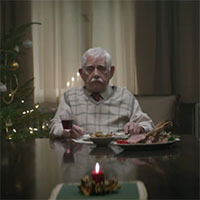 The commercial featured an elderly man going to great lengths, including faking his own death, to bring his family together for the holidays. A pediatrician's simple trick to calm any crying baby has gone viral. He explains how to properly hold the infant and then shake "his little booty." His YouTube video has been viewed over 9 million times. 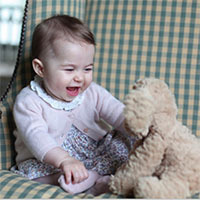 The British royal family released adorable new photos of 6-month-old Princess Charlotte that are just too cute to handle. The photos were snapped by the Duchess of Cambridge herself. And that's #TheRewind! To dive deeper into these stories click on the links in this article page. Check back every Friday night to get caught up so you're in the know for the weekend.